Before we all had kids, Casey and I used to go bowling regularly with his sister & her husband on lazy weekend afternoons. 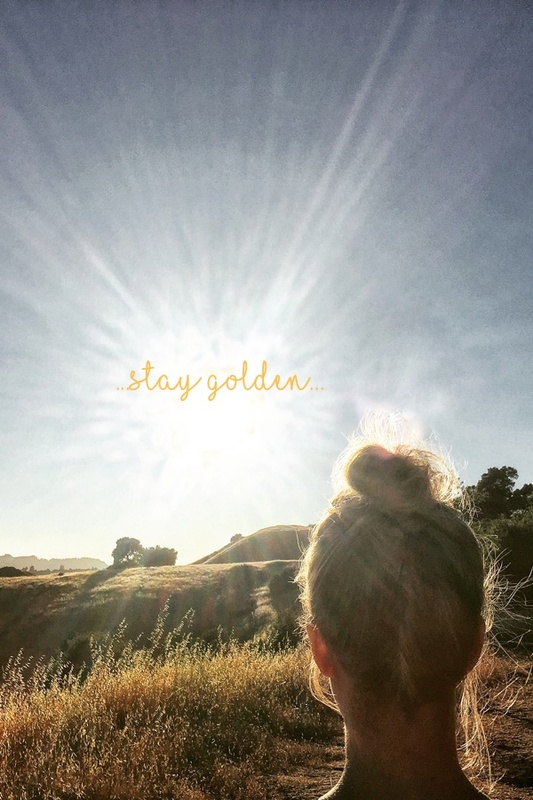 What do I remember most from those times besides being able to sleep in super late? 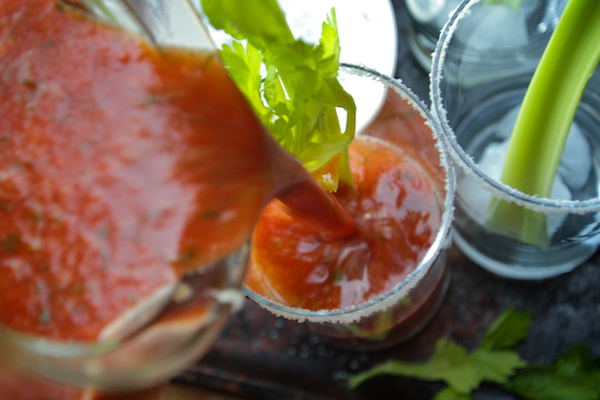 The killer Bloody Marys we used to inhale. The bowling alley we frequented had a CRAZY deal on $2 Bloody Marys during happy hour and we took welllllllll advantage of that. To say it improved our bowling game is an understatement. There was something about those bowling alley Bloody Marys that sealed my love for Bloody Marys. 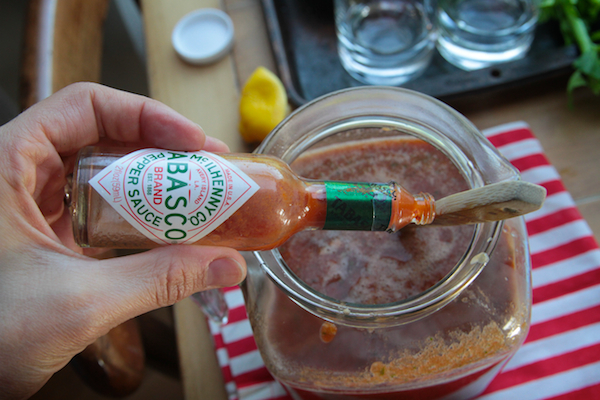 Must have been the horseradish… I also love Worcestershire & tons of pepper in my Bloody Mary. I can’t get enough! 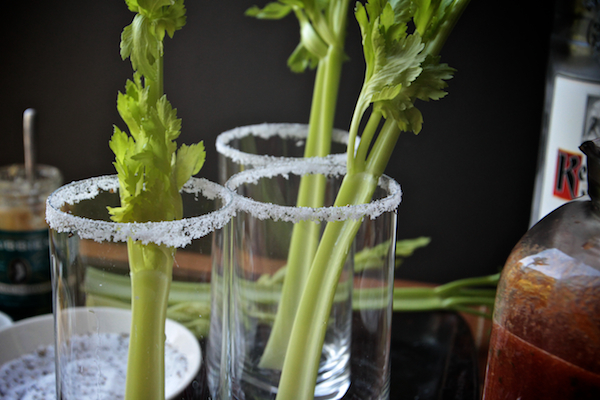 The celery is a fun addition too. First we must make our base. 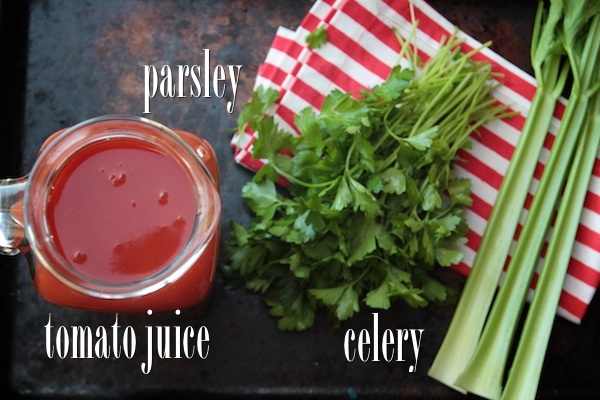 It consists of three good things: Tomato Juice, Parsley & Celery! 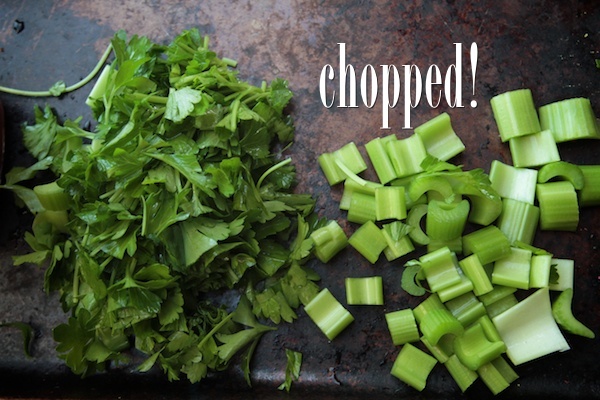 We chop up the greens before we blend up the juice. BLEND! Now we let the mixture sit for at least an hour in the fridge. Flavors gotta develop, yo! You can easily do this the night before. Just make sure you stir it well before using. Now the fun BEGINS!!!! I pickled some green beans a few months ago a la my Giardiniera. Pickled veggies in Bloody Marys are where it’s at! Once the tomato base has chilled, now it’s time to spice it up! Add horseradish up in. The more the merrier, I say! Add in lemon juice next. Tabasco, as you do. I added Worcestershire to ours too. It doesn’t taste the same without it! 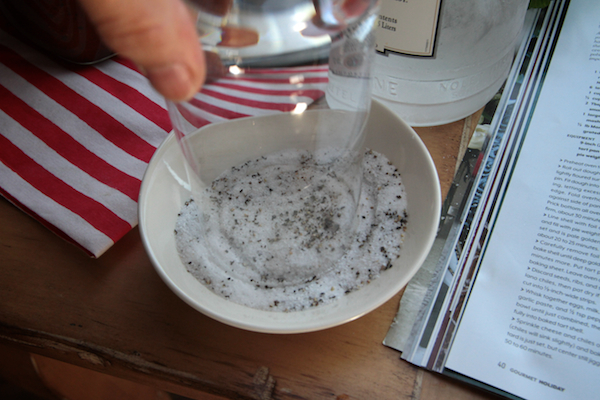 We’re gonna get fancy and rim the glasses with a salt & pepper mixture! FANCY PANTS. 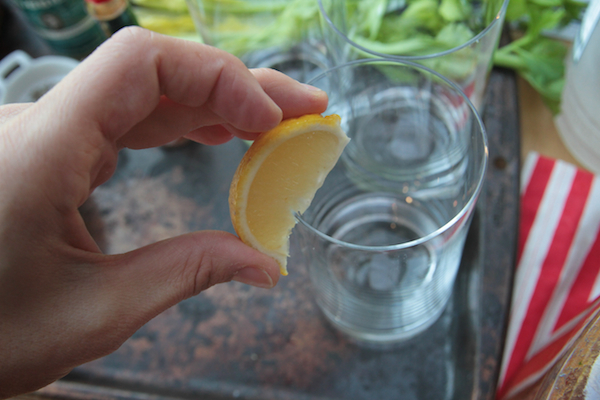 Take a lemon and rub it around the glass edge. Dip it in the salt & pepper mixture. Done did. How pretty is that? I told you it was fancy. Now we’re ready to start the spirit component. VODKA! 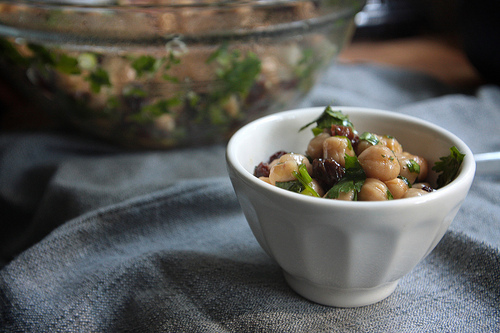 Add all of your fixins on top. This recipe serves three people twice. 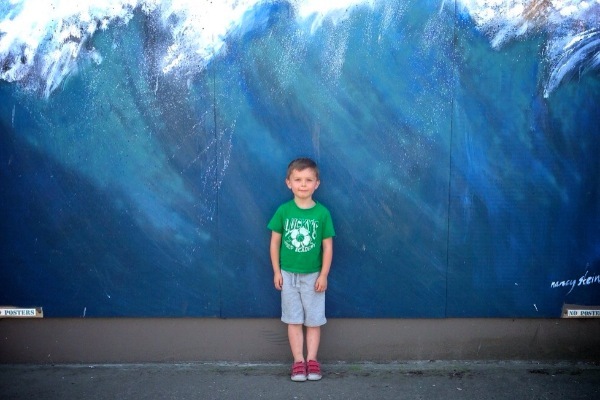 One of us might have been over-served…. 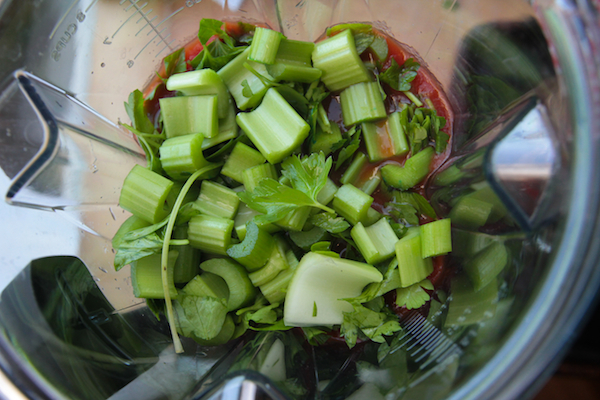 Puree tomato juice with celery and parsley in a blender or food processor until smooth. Transfer to a bowl and chill at least 1 hour. 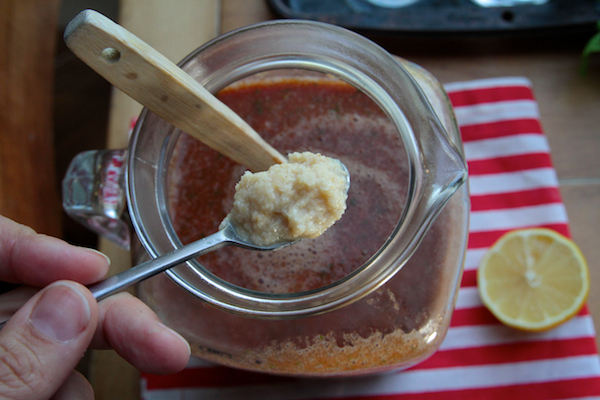 Stir in horseradish, Tabasco, Worcestershire, and lemon juice. 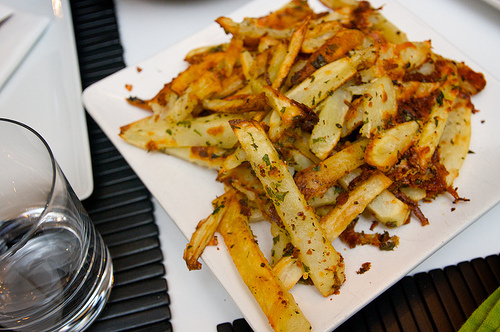 Mix remaining sea salt and 1 teaspoon finely ground fresh pepper on a small plate. 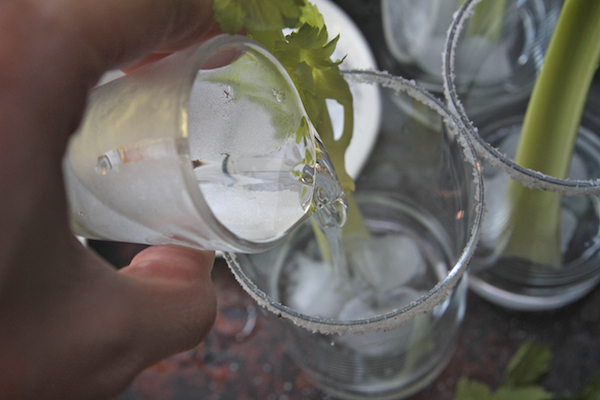 Moisten outside of rim of each glass with lemon wedge, then dip rim in salt and pepper. Fill each glass with ice and 2 oz. vodka, then top with juice. Garnish to your liking. I LOVE bloody Mary’s! It’s been wayyyy too long since I’ve had one and your version is making me thirsty! Yum! I love bloody marys! This recipe sounds amazing! 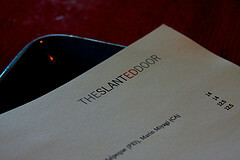 Your photos are making me want them right now! So good! It’s been awhile since I’ve had a bloody! YUM! We have Bloody Marys every Christmas morning as we open presents. This recipe looks great! I’ve NEVER had a bloody mary (I know I know!) 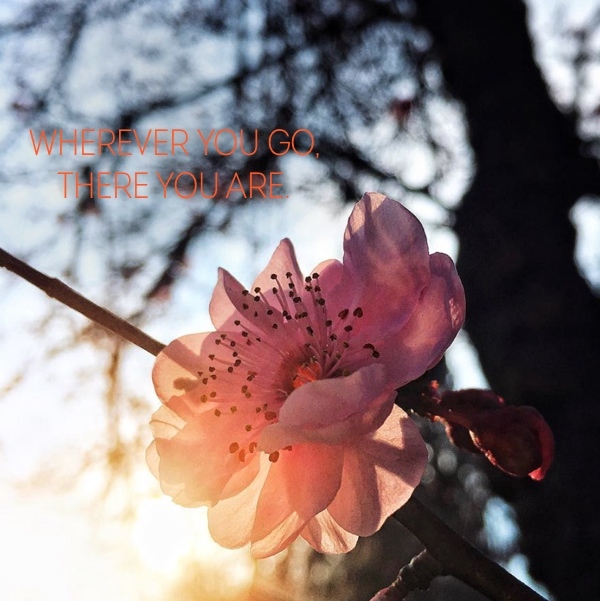 but this would be a great place to start! Yuuum this drink is like an appetizer and libation all rolled into a glass! BOTTOMS UP! 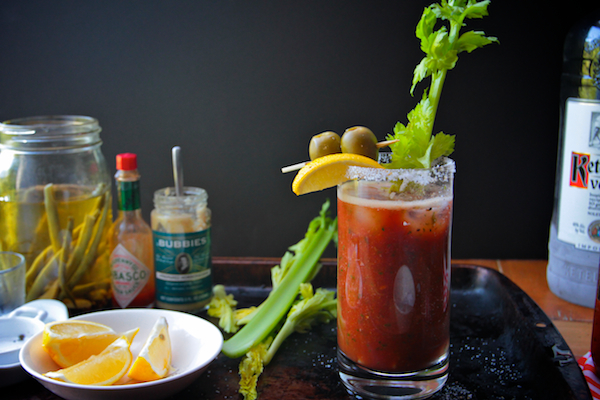 CONFESSION: I’ve never had a bloody mary! I just had my first bloody beer (and loved it!) out with friends a few weeks ago. Next time I’m down, I want to try one, mkay? This looks amazing. Wait, I’m not alone?! I’m not the only one who has never had a bloody? This kinda makes me happy, although I’m pretty sure I’m the only one who has not had one because she can’t get past the name. It…creeps me out :-p I know, lame excuse but it’s true! 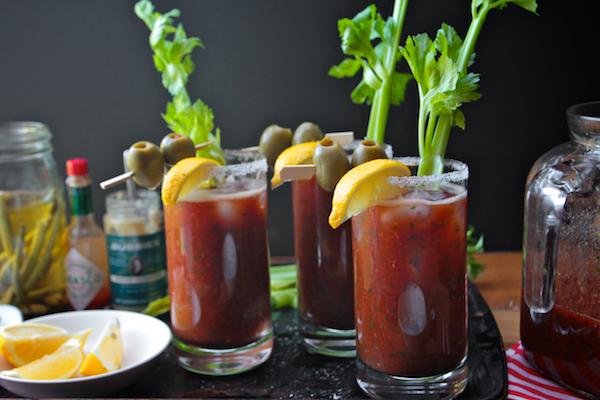 These look great, but being Canadian, I LOVE (extra spicy) Bloody Caesars! 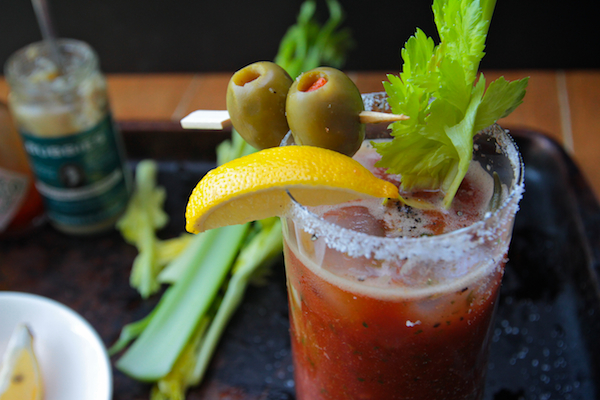 I have to say that a Bloody Caesar beats a Bloody Mary any day;) Have you ever tried one? NO!! Tell me more about this! Oh goodness! These Bloody Marys look fantastic! 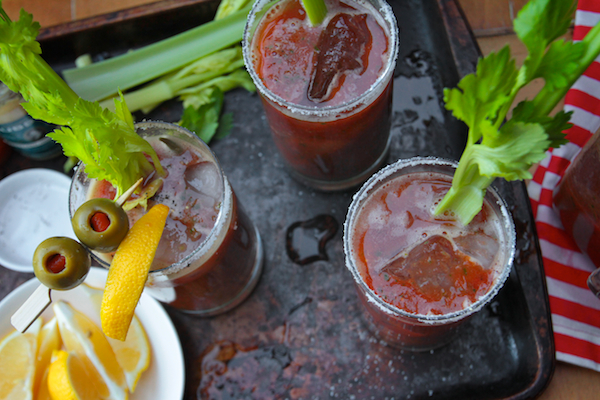 yum… bloody marys are the only drink i know of that are universally wonderful, at any time of day, at any time of year. That made me chuckle… Let me just get out my BLOOD PROCESSOR. oops. my brain is FRIED. 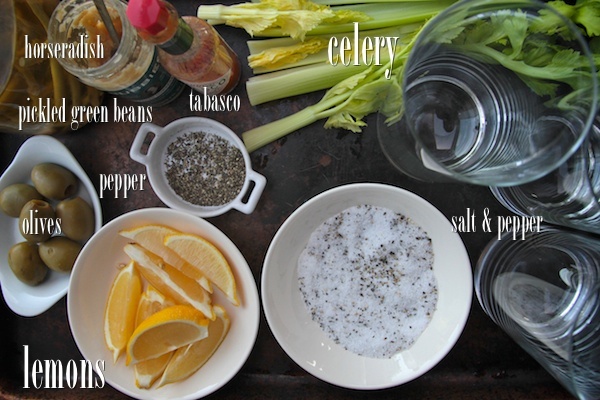 I second Kirsten – Bloody Caesars are the bomb. I know it sounds weird but it’s actually the same but with Clamato Juice instead of tomato – or you could just add some clam juice to your tomato/celery/parsley mix. 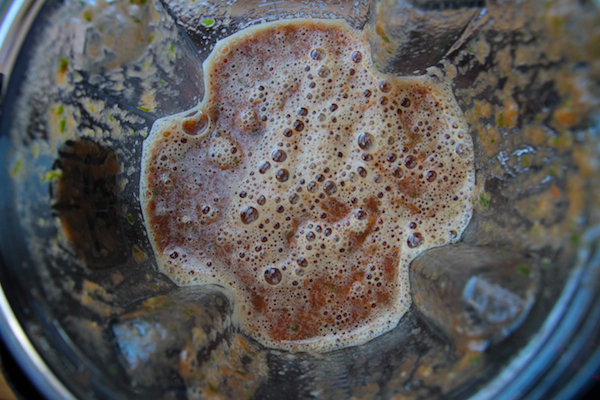 A Caesar or Bloody Caesar is a cocktail created and primarily consumed in Canada. 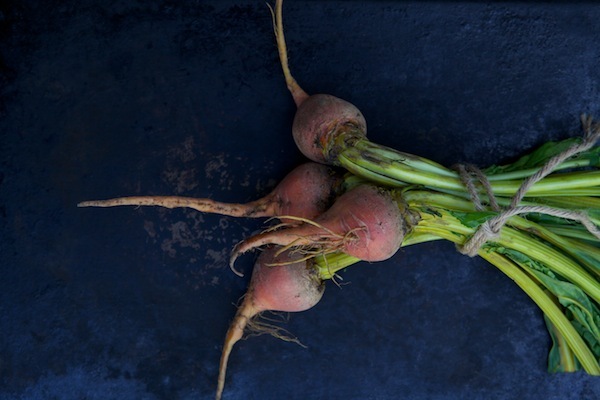 It typically contains vodka, Clamato (a proprietary blend of tomato juice and clam broth), hot sauce and Worcestershire sauce, and is served with ice in a large, celery salt-rimmed glass, typically garnished with a stalk of celery and wedge of lime. It was invented in Calgary, Alberta in 1969 by restaurateur Walter Chell to celebrate the opening of a new Italian restaurant in the city. It quickly became a popular mixed drink within Canada where over 350 million Caesars are consumed annually and it has inspired numerous variants. However, the drink remains virtually unknown outside the country. This is amusing to me as there are only like 32 million Canadians total so we certainly enjoy them! Caesars join buttertarts, poutine and nanaimo bars as uniquely Canadian things. I do love me a good bloody mary. I’ve tried making them at home and can’t ever get them quite right. Maybe parsley is what I’ve been missing! I’m going to try your technique next time. i’ll agree with my fellow crazy canadians, ceaser bests mary any day! 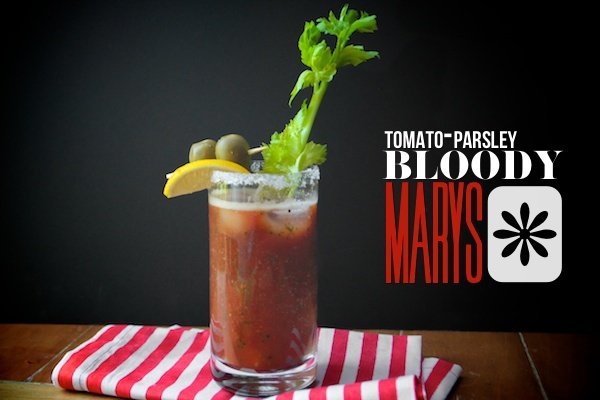 Confession: I’ve never been much of a Bloody Mary fan… but I have to say, these look and sound delectable. This is definitely something I’m going to have to try this season! Oh, Tracy. These look phenom. I love to garnish mine with hot pickled okra and cocktail onions. Bloody marys are the one thing that get me as excited about the garnishes as I am the actual booze. One additional ingredient that really makes a difference: a splash of pickle juice.